Oil markets remain oversupplied and depressed, but geopolitical flashpoints have a historical tendency to disrupt market trends. Over the weekend, Saudi Arabia carried out a mass execution of 47 prisoners, including a prominent Shiite cleric Nemer al-Nemer. The executions prompted condemnations from around the world, but in Iran protestors threw Molotov cocktails at Saudi Arabia's embassy, setting fire to the building. Iran's Supreme Leader Ayatollah Ali Khamenei said that Saudi Arabia would face "divine retribution" for executing the Shiite cleric. In response, Saudi Arabia cut off diplomatic ties with Iran, and kicked out its diplomats. Saudi allies in the Persian Gulf also downgraded diplomatic relations with Iran. The conflict between Iran and Saudi Arabia has simmered for months, with the wars in Yemen and Syria playing out as proxy fights between the two rivals. Now the conflict has erupted into a more direct standoff. The execution of al-Nemer "risks to be really explosive in the broader region" a senior Western diplomat told The Wall Street Journal. The U.S. government, which has sought to lower the temperature between the two countries in 2015 and bring Saudi Arabia on board with the nuclear agreement it brokered with Iran, called on both sides to take "affirmative steps to calm tensions" following this weekend's events. Oil prices briefly jumped on Monday, with WTI up more than 3 percent and Brent up more than 4 percent in early trading hours. Both benchmarks spiked above $38 per barrel. That is a long way from the $100 per barrel routinely seen in years past when Middle East tension spooked oil markets, but prices were up from the 11-year lows seen in December. The significant price increase came even as global financial markets saw turmoil on the first trading day of the New Year. U.S. stock indices plunged 2 percent on January 4, following negative economic news coming out of China. New data showed that China's factory activity slowed in December, sending the Shanghai Composite down by 7 percent. Trading came to a halt to prevent a further selloff. The episode conjured up bad memories of the summer of 2015, when China suffered several weeks of a stock market meltdown. The economic fissures have not healed in the meantime, and the factory data from December points to ongoing sluggishness in China. The slowing economy could force a further depreciation of the yuan, which in turn will depress China's oil demand. This stands out as a bearish black swan for crude markets in the coming months. In fact, global economic forces, along with oil supply and demand fundamentals, are much more important than the tension between Iran and Saudi Arabia. Unless the conflict escalates in a significant way, the supply overhang will continue to be much more influential on the price of oil than the war of words between Tehran and Riyadh. 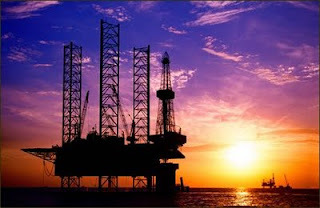 After spiking early on January 4, crude fell back by the afternoon as the markets digested the bearish news from China. Moreover, the Saudi-Iran conflict could merely play out in the oil markets. OPEC was already unlikely to agree to a common strategy that would see production cuts, but now everyone can essentially rule out any cooperation between Saudi Arabia and Iran. Both countries may try to ramp up production (Iran plans on doing that anyway when sanctions are lifted) and discount their oil in an effort to claw away market share from each other. Meanwhile, the first shipment of U.S. oil left American shores this week. ConocoPhillips and NuStar Energy were the first to export oil from the Eagle Ford. The large oil-trader Vitol Group purchased the shipment. Oil exports from the U.S.won't come in large volumes since WTI and Brent are trading at parity. But the capacity to export will put some downward pressure on the internationally-oriented Brent benchmark. In other words, global economic weakness and the glut in oil supplies will continue to weigh on crude. At this point, only tension in the Middle East is providing a bit of a lift to oil markets, but even that won't be enough to push up prices in any lasting way.